China has always had a great business relationship with Germany, and there are many supply chain businesses in China whose success relies solely on fast and efficient cargo shipping from China to Germany. Hiring a good logistics partner who can guarantee import from China to Germany the fastest possible way and that too at affordable rates can be a great asset to business. This is why, at TS Freight, we offer complete logistics and transportation freight services between China and Germany, both by air and sea. Our logistics services have been designed to cater to the specific needs to each of our clients. While we handle all the smaller nuances of the shipping process – starting from pick up to packaging to documentation and custom clearance to loading and unloading and also offer door to door delivery, we also customize our services as per the needs of our clients when the sensitive nature of their cargo demands so. 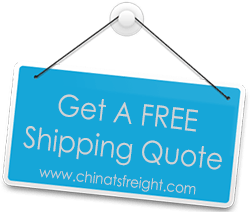 We will ship your cargo from any major city in China, including: Tianjin, Dalian, Guangzhou, Shenzhen, Shanghai, Ningbo, Xiamen, Hong Kong, Hangzhou, and more. Our cargo shipping from China to Germany network covers all the major cities and ports of Germany including: Hamburg, Berlin, Wismar, Kiel, Bremen and more. What sets us apart from others is the fact that we not only manage the import from China to Germany of your cargo, we also offer you continuous support and advice for your supply chain business and can offer you a variety of services under a single roof so that you always make the best choices for your business.